Take the family west this Easter, with an exceptional Easter family break in one of the most pristine and picturesque parts of the country. Enjoy a two night stay in the Victorian mansion of Ballynahinch Castle Hotel overlooking the Ballynahinch River like a fairytale castle in the woods. Reconnect and relax with the family, checking in to your Riverside room with breakfast in the restaurant on both mornings and dinner on the evening of your choice. A great base to explore everything the area has to offer, the hotel itself has all kinds of activities for every member of the family. From guided adventure walks through the woods, fishing on the lake, meeting the resident chickens, ponies and pigs and fun filled art competitions, there is plenty to keep the whole family entertained. Gather the family and explore the nature trail followed by a board game in front of the fire while tucking into hot chocolate & Easter treats. 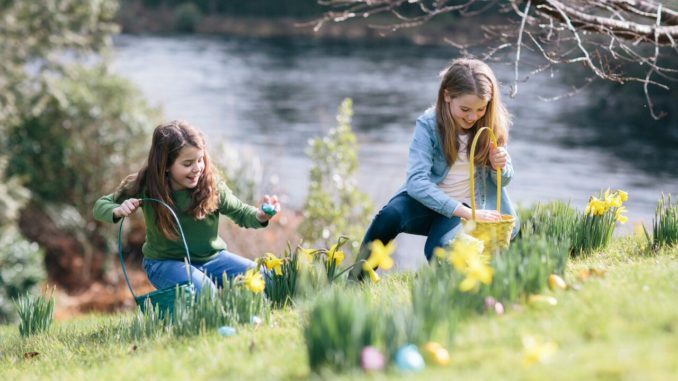 The fabulous Easter package at Ballynahinch Castle Hotel includes 2 nights’ accommodation for 2 adults and 2 children with breakfast each morning, prices start from €580 for two adults & two children under 12 sharing one room. Don’t let the Easter bunny stop you in your tracks this holiday season. Take advantage of four-star Knockranny House Hotel’s perfect location to explore the wonders of the 42km Great Western Greenway. Traffic free and suitable for people of all cycling and walking abilities, the track runs along the old Westport to Achill railway, perfectly restored for cycling and walking enthusiasts to enjoy. 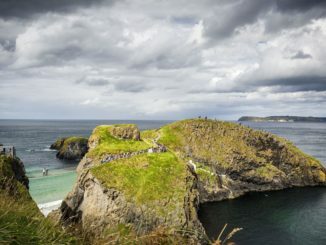 A cycle along the track provides a unique way to admire the amazing beauty of the West of Ireland, while breathing in the freshest of sea air. Arrive back to Knockranny House Hotel to indulge in some well-deserved rest and relaxation accompanied by delicious food. Perhaps soothe your aching limbs in Spa Salveo’s Vitality Pool and Thermal Suite or enjoy a blissful treatment. Escape the mountains of chocolate this Easter with the Wabbit on Wheels package at Knockranny House Hotel. The package is available in a classic room from €218 per person sharing for Easter weekend and from €178 per person sharing midweek, and includes two nights accommodation, a hearty breakfast each morning, dinner on one evening and bicycle and helmet hire for one day. For more information visit www.KnockrannyHouseHotel.ie or call 098 28 600. Inchydoney Island Lodge & Spa is a warm and welcoming seaside hotel situated just outside the colorful heritage town of Clonakilty in West Cork. 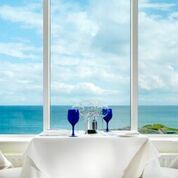 Overlooking two magnificent stretches of Blue Flag beach Inchydoney Island Lodge & Spa is the perfect destination to take some time out and enjoy some wonderful family time together this Easter. With Inchydoney beach as your playground, there are endless activities to keep all the family entertained, from classic sea side activities such as sand castle building or kite-flying to simply enjoying a family stroll along the beach this is the perfect location for enjoying the great outdoors and the West Cork countryside. If the weather is not on your side, all the family can enjoy access to the Seawater Therapy Pool, Snooker Room and the dedicated Children’s Lounge fully kitted out with Games, Books and Xbox. If you feel like sitting back and relaxing there will be plenty of family movies playing in the Netflix Room throughout your stay. This Easter break, Inchydoney Island Lodge & Spa has a two night package available from €460 for a family of 2 adults and 2 children sharing a Family Room. The package includes breakfast on both mornings, access to the facilities and “Cooking with Chef” on one afternoon for the kids. There will also be an Easter Egg Hunt with the Easter bunny for all the family on Easter Sunday also. For more information and bookings, call +353 23 883 3143, visit www.inchydoneyisland.com or email reservations@inchydoney.com. This Easter, pack up your family for a super fun and ‘egg-citing’ trip to Delphi Resort to create some fun family memories that you’ll never forget! With luxurious 4-star hotel accommodation, a tranquil spa surrounded by breathtaking mountains and excellent food. Try one of Delphi Resort’s incredible Family Easter Packages, especially designed to cater for families of all ages and sizes. 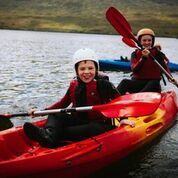 With over twenty family friendly activities to experience (indoor and outdoor) including kayaking, surfing cycling and zipping through the treetops, Delphi Resort is packed full of adventure and excitement there are adventures that all the family can enjoy together. Family activities are suitable for kids from as young as 4 years right up to those sometimes difficult to please teenagers! There is also a range of ‘fun for the little ones’ activities, designed to keep 3 to 7 year-olds occupied including a FREE kids club with arts & crafts, nature walks and mini bush craft survival to entertain the little ones’ for hours. Giving mum and dad time to unwind in the Delphi Spa, take in the stunning surroundings with a walk or simply relax with a good book. (based on 2 adults and 2 children sharing) which includes 4* accommodation and full Irish breakfast for the family, 2 evening Easter activities and free Kids Club! Parents can also enjoy one hour’s complimentary access to Delphi Spa during their stay! To make a booking or get more information on the huge range of packages and activities on offer, call +353 95 42208 or visit www.delphiresort.com. Just a short stroll from Eyre Square and the heart of Galway city, Radisson Blu Hotel & Spa, Galway is the perfect place to spend the long weekend this April and with the Galway Food Festival taking place in town, it is the perfect time to visit when the city will come alive with cookery demonstrations, food trails and open-air markets offering lots to see and do. Enjoy a 2-night stay in luxurious bedroom with breakfast each morning for two adults from €209 per person sharing, add dinner to your stay in Marina’ Grill from €249 per person sharing and sped the evening enjoying great food overlooking Lough Atalia. The Radisson Blu Hotel & Spa, Galway offers the best of all worlds from luxurious accommodation to great food, a tranquil spa, fully equipped leisure centre and city centre base, making it the perfect destination for a break this Easter. For bookings, call 091 538212 or email sales.galway@radissonblu.com. For more for more information, visit www.radissonhotelgalway.com. Pack your suitcases, load the kids into the car, and head off to Faithlegg House Hotel and Golf Resort for a well-deserved midterm break. Leave your cares behind and prepare for effortless family fun in the heart of Waterford. The estate is situated in rolling countryside, perfect for an active family with the desire to explore. From walks in the woodlands to bicycle hire, there is plenty to keep children of all ages entertained. A state of the art leisure centre with swimming pool, children’s pool, sauna and steam room will provide hours of fun and relaxation, while the outdoorsy members of the family will love the children’s playground, 18-hole championship golf course, mini golf, and tennis courts. With an Easter egg hunt for all the gang on Easter Sunday! The hotel’s central location makes it the ideal base to discover the coastal county’s hidden gems. The close-by seaside villages of Tramore and Dunmore East are stunning examples of the magnificent Waterford coastline. There are opportunities to take part in water based activities such as surfing or fishing, or simply to walk on the strand and breathe in the freshest of sea air. Mini farms, cinemas and bowling are all within easy driving distance. 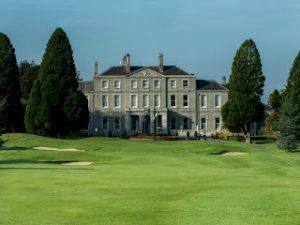 Easter package at Faithlegg House Hotel is available from €450 for 2 adults and 2 children under 12 for Easter weekend and from €340 for 2 adults and 2 children under 12 midweek. The package includes 2 nights of bed and breakfast and one evening meal on the night of your choice in the Roseville Rooms Restaurant. Prior booking is essential. Create the memories of a lifetime with an enjoyable Easter break at Faithlegg House Hotel and Golf Resort. For family room availability, call 051-382000 or visit www.faithlegg.com for more information. Treat the family to a luxury Easter retreat at the stunning Lough Erne Resort in the heart of the Fermanagh Lakelands. Enjoy two nights accommodation in a two bedroom lodge with indulgent breakfast each morning and the chance to enjoy the beautiful Collop Walk along the grounds of lower Lough Erne. On the evening of choice, you and your family will be treated to a sumptuous 3-course dinner in The Loughside Grill and Bar. During your luxury stay you will also have access to the infinity pool and Thermal Suite at The Thai Spa while the kids can join Easter activities in Ernie’s Den. Retreat this Easter to Lough Erne Resort from €395 per night, based on 2 adults and 2 children under 12 years old sharing (subject to availability). For booking details and further information on all the offers available at Lough Erne Resort visit www.lougherneresort.com or call +4428 6632 3230. Whisk the family away this Easter and enjoy all that The Rose Hotel in Tralee has to offer with a range of fun filled activities that will help make unforgettable family memories. Splash about at the Aqua Dome, one of Ireland’s largest indoor water worlds where year round tropical temperatures mean you don’t need to worry about the rain! All Easter family packages include a complimentary family pass to the Aquadome which is located next door to the hotel. The kids also receive a pass to the Playdium, Kerry’s largest indoor play centre. During Easter kids teas are served at 5.30pm just before the Kids Club opens with a different exciting activity every night including Easter egg decorating and an Easter egg Hunt, while the grownups relax and enjoy dinner in The Park Restaurant or in Dott’s Bar. If you’re feeling adventurous pack up the family and discover the delights of the Kingdom while you’re at The Rose Hotel. With so much to see on the doorstop including local Blue Flag beaches on the Wild Atlantic Way to the Dingle Peninsula, the Ring of Kerry and the annual Tír na nÓg Childrens Festival in Tralee town itself, it’s sure to be an unforgettable family break. You and your family can enjoy a fairytale family break at The Twelve Hotel in Galway this Easter where your little ones will have great fun discovering and playing with the magical Fairy Doors which the hotel have just had installed in their Marvellous Family Suites. You will be greeted on arrival at The Twelve Hotel with delicious Fairy Cakes from the hotel’s on-site bakery, and you can settle into your room as your imaginative little ones go, literally, “away with the fairies” while uncovering the magic of the Fairy Door in your beautiful suite. Stay for two nights in a Marvellous Family Suite, with full cooked-to-order breakfasts each morning and family dinner on one evening in The Pins Bistro. The kids will love their Pizza Masterclass with the hotel’s Pizza Dozzina Chefs, and for some downtime curl up with them on the couch in The Pins Bar & Bistro with a fairytale book from the hotel library. Included in the family package is a family pass to one of the following family attractions: take the wild atlantic way drive into Connemara and enjoy Brigit’s Gardens in Moycullen or Kylemore Abbey & Gardens or Dan O’Hara’s Farmhouse and Heritage Centre. 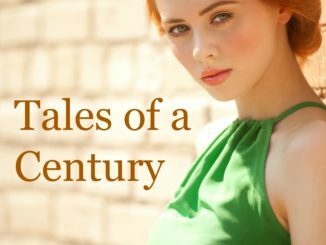 This fantastic fairytale package costs from just €499 per family, and you can enjoy a third night at the special rate of only €140 per family. Take a walk on the wild side with your family and Dunboyne Castle Hotel & Spa this Easter. Why limit yourself to the Easter bunny this midterm, gather the pride and head to Dunboyne Castle Hotel & Spa for a luxurious stay with a dash of adventure at Dublin Zoo, guaranteed to keep the kids entertained. Nestled in the lush Meath countryside a mere hop, skip and a jump from Dublin city, the four star hotel is the ideal spot for a family break with something for guests of all ages, both young and old, to enjoy. The kids will love checking in with their very own special ‘Dunboyne passport’, a must-have for all intrepid explorers! Each child receives a fun activity pack with colouring books and colours as a little welcoming present too. Spend the evening admiring the restored Georgian building, wandering through the picturesque grounds and stunning gardens, or simply find a cosy couch and enjoy some quality time together as a family. The excitement of a family adventure will leave the little ones in need of healthy and nourishing food, Dunboyne Castle Hotel has designed a special kids’ dinner menu that is guaranteed to bring a smile to even the pickiest of little eaters faces and set them up for the next adventure. 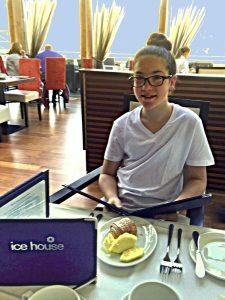 Family time is fun time but adults need a little luxury, rest and relaxation too. Parents can enjoy a delicious meal at the award winning Ivy restaurant, unwind with an afternoon tea or relax at the luxurious Seoid Spa. The fun is far from over when you check out the next day with a trip to Dublin Zoo on the way home. Hang out at the Gorilla Rainforest, watch the penguins having their lunch, or if you’re brave enough visit the Reptile House! The Escape to The Jungle midterm package is available from €230.00 per family and includes overnight accommodation in a deluxe family room for two adults and two children sharing with full Irish breakfast the following morning, complimentary car parking and Wi-Fi, and entry to Dublin Zoo for two adults and two children for the day after your overnight stay. For more information or to make a booking, please email info@dunboynecastlehotel.com or visit www.dunboynecastlehotel.com. Easter is the perfect time of year for families to pack their bags and head off on a special adventure together. 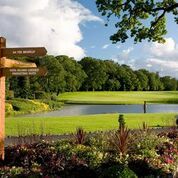 Watch your little ones faces light up as you arrive at Fota Island Resort,in captivating Cork. Camp Fota at Easter is running from Saturday 8th April to Saturday 22nd April and provides a safe environment for kids to make new friends and discover exciting activities, all under the careful supervision of an experienced kiddie’s team. Designed with fun-loving families in mind, there is something for everyone to enjoy. Children will benefit from outdoor activities in the fresh air, with plenty of indoor activities on offer too. Day camp runs from 10am to 2.30pm and is open to both residents and non-residents. With Easter baking and bonnet making, outdoor activities including soccer and obstacle courses and fun events like Camp Fota’s Got Talent and bowling, the kids will be wholly entertained. The camp is priced from €10 per session for residents and €20 per child per day for non-residents, with sibling discounts available. Resort residents can also enjoy an evening camp, running daily from 7.30 to 9.30pm. The kids will love getting involved in movie nights, pool tournaments, and quizzes. A supervised kid’s buffet in Fota Restaurant from Monday to Saturday at 6.30pm will help ensure everyone is well-fed. Designed with little tummies in mind, a variety of options will keep children nourished and satisfied, ready for the next day’s activities. 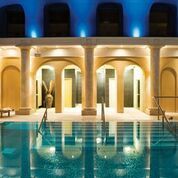 Adults won’t feel left out with many decadent dining options, the Fota Island Spa, leisure facilities, a championship golf club and much more to enjoy! Easter Camp packages are available with a variety of accommodation options to suit all needs. A hotel stay package for a family of four with hot chocolate on arrival and access to the kid’s camp is available from €265 for one night or from €445 for two nights. A three night stay in a three bed self-catering lodge, including access to Camp Fota is available from €870. The kids will be talking about their Camp Fota activities for years to come! Fota Island Resort is the perfect location for an entertaining and picturesque home away from home this Easter, catering to all family members, both young and not as young! 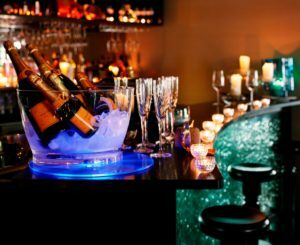 A favourite location for families this Easter midterm why not bring the gang to the beloved Radisson Blu Hotel, Athlone which has recently undergone a total refurbishment on the bar and lobby, for some Easter treats and relaxation for mum and dad! There’s plenty to keep everyone happy with no shortage of sights to see and visit in this maritime town. Take a scenic boat trip on the Shannon or visit Athlone Castle and Luan Art Gallery, which are located just across the river from Radisson Blu Athlone. On Easter Sunday keep the kids entertained with a fun Easter Egg hunt throughout the hotel and sweet treat and surprises for the little ones. Make a splash in the indoor swimming pool with full access to the Synergy Health & Leisure Club to give mum and dad a chance to relax in the sauna and steam room. Enjoy dinner in the split-level Elements Bistro the perfect place to relax and unwind before making the most of the long spring evenings on the outdoor Riverside Terrace at the rear of the hotel while watching the boats go by in Athlone Marina, before retreating to a cosy family room. Family Easter breaks include an overnight stay in a family room (2 adults and 2 children) with breakfast, dinner and an Easter egg hunt from €199. 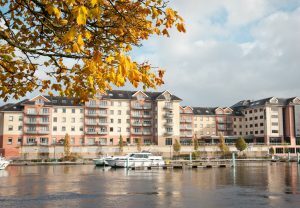 For more information visit www.radissonblu.ie/hotel-athlone or call +353 90 644 2600. A time for renewal and relaxation, capture the magic of spring at the Ice House this Easter. Located on the Wild Atlantic Way, overlooking the River Moy and the woodlands beyond, it’s a unique destination to watch spring come to life this April. Pack your bags, get away from it all and spend some quality time with loved ones in scenic North Mayo. Enjoy a two-night break, including accommodation in one of the deluxe bedrooms complete with king size beds and Foxford Woolen Mills blankets, freshly prepared breakfast each morning and dinner on the night of your choice in the atmospheric restaurant overlooking the River Moy. During your stay, discover the wonder of the rugged coast line of North Mayo or just let the worries of the world drift away in the award winning boutique Chill Spa. Over Easter weekend, get ready for the hunt! The Easter Egg hunt that is, that has been carefully hidden in your bedroom ready to be discovered on check in. Not just for kids, it’s guaranteed to bring a little magic to your Easter break! Easter packages at the Ice House start from €279 per person sharing for a two night stay and includes accommodation, breakfast on both mornings and dinner on the evening of your choice. Enjoy Easter treats and family fun in a gorgeous countryside setting just outside bustling Limerick city this midterm. Radisson Blu Hotel and Spa, Limerick is set on 20 acres of green fields, perfect for your little bunnies to explore this Easter. Let the fun begin with an Easter themed Global Explorers pack for each child on check in, a little present to welcome the family to the hotel and help get everyone into the Easter spirit. With pictures to colour, games and treats included, the kids are guaranteed to be kept entertained for hours. The fantastic Global Explorers Kids Club is a firm favourite with all young guests. There are a range of indoor and outdoor activities designed to entertain and engage children of all ages and interests, whether the sun is shining or not. Water zorbing, giant jenga, hover ball archery, pony trekking, and much more will give the kids plenty to talk about long after the midterm break is over. While the kids are trying out activities and making new friends, Mum and Dad have the opportunity to relax and unwind. Wander through the grounds, indulge in a well-deserved treatment in the Rain Spa and Leisure Club or enjoy a hot beverage and a chat in the inviting Quench Bar. Reunited, enjoy a family catch up over a delicious dinner in the award winning Porter’s Restaurant. The kids menu has a range of nourishing options to satisfy even the pickiest of eaters and will leave little ones suitably satisfied and ready for the next adventure. 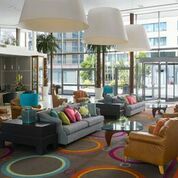 Enjoy an ‘Egg’cellent Easter getaway at the Radisson Blu Hotel and Spa, Limerick this midterm. The Hop Along Easter family package is available from €179 per room per night for a family of four in a deluxe family room and includes a super buffet breakfast each morning. Terms and conditions apply. For further information on the Easter midterm package and other fantastic offers available visit www.radissonblu.com/en/hotel-limerick. Whisk the family away to the beautiful shores of Lough Corrib this Easter and enjoy quality time together in the luxurious surrounds of The Lodge at Ashford Castle. Easter spent at The Lodge has everything a family needs to relax while being suitably entertained with beautiful views over Lisloughrey Quay, delicious food, a wide range of activities and a warm and genuine welcome, including separate kiddy check in and Kids Pack on arrival. 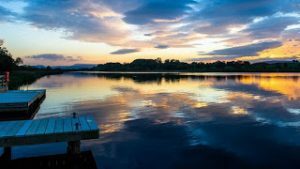 Find your sea-legs with a scenic cruising adventure on Lough Corrib on the morning of your choice. Explore the magical Connemaralandscape from a unique vantage point on the M.V. Corrib Queen or the M.V. Isle of Innisfree, the two handsome vessels sailing this family-run, passenger boat service on Lough Corrib daily. Guests staying on Easter Sunday will go in search of the Easter Bunny as they take part in an Easter Egg Hunt with delicious chocolate treats hidden throughout the estate. All the activity and fresh air is bound to work up an appetite and the menu in the Quay Bar and Brasserie will delight young and old alike for a perfect family dinner. Retire to your room to watch your favourite family movie, The Lodge has a range of movies on offer and a special movie night menu to add to the cinematic experience! Easter at The Lodge includes two nights’ accommodation in a Quay Suite with breakfast each morning, family dinner in the Quay Bar and Brasserie on the evening of your choice, a Corrib Cruise, Easter Egg Hunt on Easter Sunday only, and all you need for a lovely family movie night including a DVD player, choice of DVDs and popcorn! Prices from €765 per family of 4 (2 adults and 2 children under 12). 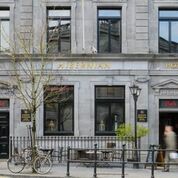 Take a trip to Kilkenny Hibernian Hotel, in the heart of Kilkenny city this Easter, bringing together a beautifully restored building just footsteps away from Kilkenny’s main attractions and some chic, contemporary additions to create a cosy and vibrant hotel full of character. Treat someone special to a little chocolate indulgence this Easter at Killkenny Hiberninan Hotel with a two-night stay in one of the newly renovated bedrooms with a chocolate treat on arrival, a two course meal on an evening of your choice in the chic and stylish Harper’s Restaurant served with a divinely indulgent Choctail Martini! Enjoy a freshly prepared breakfast on both mornings as you spend a relaxing 48 hours in each other’s company, exploring the cobbled streets and laneways of medieval Kilkenny or sampling one of the 60 Irish whiskies in the Hibernian Bar, part of the newly launched Kilkenny Whiskey Guild.